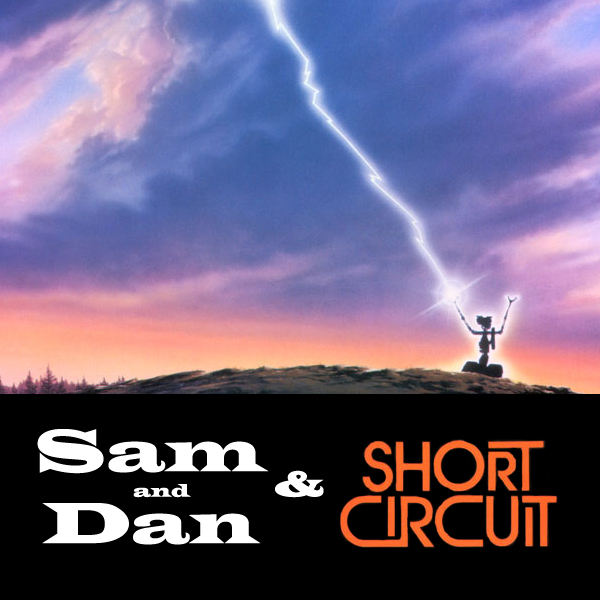 In this, the second episode of Sam and Dan and, we talk about the best (worst) movie of 1986, Short Circuit! Join us as we talk about how terrible Steve Guttenberg is, and how charming a robot has to be for Ally Sheedy to maybe make-out with it. The best episode of _Sam and Dan and_ so far! I did like that Dan forgot who picked the movie, only to be reminded that it was in fact him. I hadn’t seen Short Circuit since I was maybe 12 years old and I’d remembered it fondly until having listened to this. I was too young to realise that ‘Ben’ was actually not from India and now see that role as completely racist. You ruined my memories of this movie, and I do really appreciate that. BONUS FACT (this might have been covered in the show but I didn’t hear it): There’s a big continuity gap between SS1 and SS2. IMDB lists Ben’s last name as “Jabituya” for the first film but as “Jahrvi” for the second. I thought someone might have just pranked IMDB, but it does seem to be an actual character name change. We did mention that at the end of the episode, I do think it was just a passing comment though. Having recently had the distinct displeasure or watching SC2 I can say that I am rather sure the last name was actually different. Maybe they want us to think that it was just a different NOVA employee that really looked like Ben Jabituya. Also, you are welcome for having ruined SC1 for you. Sam and Dan and… ruining your fondly remembered childhood movies since February 2011.